In the fast-paced world of the 21st century, there are a limitless number of ways through which one can get famous. Some are celebrated for their talents, achievements or even their fortunes. Dancing is a talent which comes naturally to many individuals around the world. However, a select group of people have been able to hone their own talents to the extent that they can effortlessly captivate an audience with their incredible dance moves. Below is a countdown of some of the world’s most famous dancers who have literally made their way into the spotlight with their feet. This Colombian-born bombshell has come to be known for her powerful vocals as well as her impressive dance moves. While a good number of her fellow music stars depend on professional choreographers to develop their dance routines, Shakira has earned a reputation for creating and performing her own routines all by herself. With impeccable performances both in her music videos as well as on stage, she has proven to be a well-rounded entertainer. She is also a well-known practitioner of the Arabic dance form known as “Belly dance” and according to her, this is a testament to her Lebanese ancestry. These and many other reasons earned her a spot on this list of some the world’s famous dancers. Rudolf Nureyev was a Russian professional dancer who specialised in ballet and contemporary dance. He is widely considered to be the greatest male ballet dancer of his time and this earned him the moniker “Lord of the Dance”. He gave his own unique rendition of several classical ballets including Swan Lake, Giselle and La Bayadère. 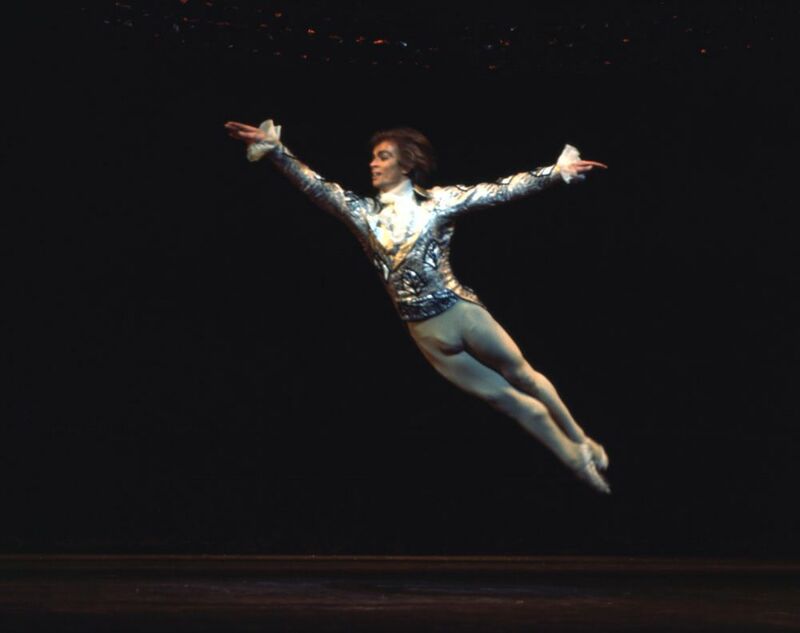 Nureyev also danced with the prestigious London-based ballet company The Royal Ballet. He later served as the director of another prestigious ballet company, the Paris Opera Ballet and he eventually became the chief choreographer of the company. Mikhail Baryshnikov is also widely regarded to be one of the greatest male ballet dancers the world has ever known. He began his ballet studies at age 11 in the former Soviet Union where he was born. His exploits in ballet dance earned him international prominence and he got to tour several European countries. In 1974, he defected to Canada in order to pursue further opportunities in western dance. Baryshnikov freelanced with different dance companies afterwards until 1978 when he joined the New York City Ballet as a principal dancer. He joined the American Ballet Theatre in 1980 as an artistic director and he served in that capacity until 1989. In 1990, he co-founded a touring company named The White Oak Dance Project alongside American dancer Mark Morris and he served as the company’s artistic director until 2002. In 2005, he founded the Baryshnikov Arts Center (BAC), a complex located in New York which provides facilities for dance, other forms of performing arts as well as visual arts. Mikhail Baryshnikov is a fellow of the American Academy of Arts and Sciences and a recipient of the National Medal of Arts. Multitalented Indian-born star Prabhu Deva has carved a niche for himself both as an actor and as a film choreographer. As a teenager, he started out as a backup dancer in the late 1980s and soon afterwards, he ventured into the world of movie choreography. Interestingly, he was inspired to tow this peculiar career path by his father Mugur Sundar, who is equally a choreographer in South Indian cinema. Deva has so far worked on well over 100 films. He is the founder of the Prabhu Deva’s Dance Academy in Singapore. He is indeed one of the most famous dancers to eve come out of India. Joaquín Cortés is a Spanish-born professional dancer with a special interest in flamenco and ballet dance. Born in the Southern Spanish city of Córdoba, Cortés took interest in dancing from a very early age. He eventually got to enrol for dance classes at the age of 12 when his family relocated to Spain. As a young teenager, he got accepted into the Spanish national ballet company which afforded him the opportunity to perform at various prestigious venues across Europe and the US. He founded the Joaquín Cortés Flamenco Ballet company in 1992 and shortly afterwards, he embarked on his first international tour. In addition to stage performances, he equally performs in film and television. At the turn of the century, Cortés shifted to choreography and artistic direction though he continues to record a limited number of performances. Hrithik Roshan is undoubtedly one of the biggest movie stars to ever come out of Bollywood. Interestingly, this international movie sensation is well known for his impeccable acting talents as well as his dancing skills and with his flawless performances in some of Bollywood’s biggest movies, he has earned himself the well-deserved title of “Bollywood’s King of Dance”. Martha Graham was an iconic professional dancer whose illustrious career spanned over 7 decades. Her immense contributions to modern dance earned her the title the “Picasso of Dance” as well as “the Mother of Dance”. She received numerous accolades during her career most notably the Presidential Medal of Freedom which is the highest civilian award of the United States. Born in the Allegheny City municipality (now part of Pittsburgh), Pennsylvania, Graham was certainly not an early bloomer as her parents’ strict background did not particularly encourage dancing. The family later moved to Los Angeles when she was a teenager and there, she attended the first dance show of her life at the age of 17. She went on to study at the Denishawn School of Dancing and Related Arts where she began her career as a dancer. Fueled by the vision to make dance an art form instead of a mere form of entertainment, Graham established her own dance company/school the Martha Graham Center of Contemporary Dance in 1926. Among her numerous innovations, she created the Graham technique, a modern dance technique which is taught all over the world. She made history on February 25, 1937, when she became the first dancer to perform in the White House. This world-famous multi-Grammy-winning singer-songwriter needs very little introduction. 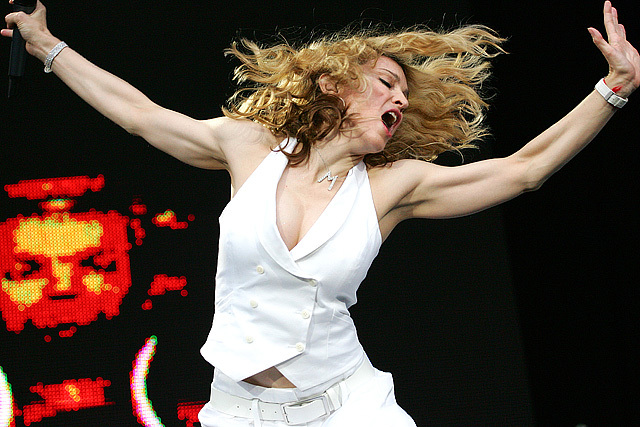 While Madonna has come to be identified as a trendsetter in the pop music genre, many are not aware that this superstar actually started out as a dancer and she dedicated a good part of her early life to learning modern dance. Madonna took ballet classes as a teenager and after high school, she earned a dance scholarship to the University of Michigan. She later trained at the Alvin Ailey American Dance Theater as well as the Pearl Lang Dance Theater in New York after dropping out of college. Afterwards, she began working as a back-up dancer and a back-up singer until 1982 when she snagged up her first record deal. Several decades later and with over 300 million records sold, Madonna is acclaimed to be one of the best-selling female recording artists the world has ever known. As expected, live performances have been critical to Madonna’s successes over the years and she can always rely on her solid background as a dancer to deliver those memorable stage moments. She is known to be one of the very first artists to adopt the hands-free headset microphones which allow her a greater degree of movement while dancing on stage. Of course, no list of the world’s most famous dancers can be truly complete without making mention of the King of Pop. He is regarded by many to be the greatest entertainer to have ever walked this planet and his dance routines are crucial points of his performances. Jackson literally invented and popularized his signature dance moves including the robot, the lean, the slides & glides, the kick, the Toe Stand, The MJ Spin and the moonwalk. While many of these dance moves were known to be very complex, the music icon particularly stood out because he performed them effortlessly. 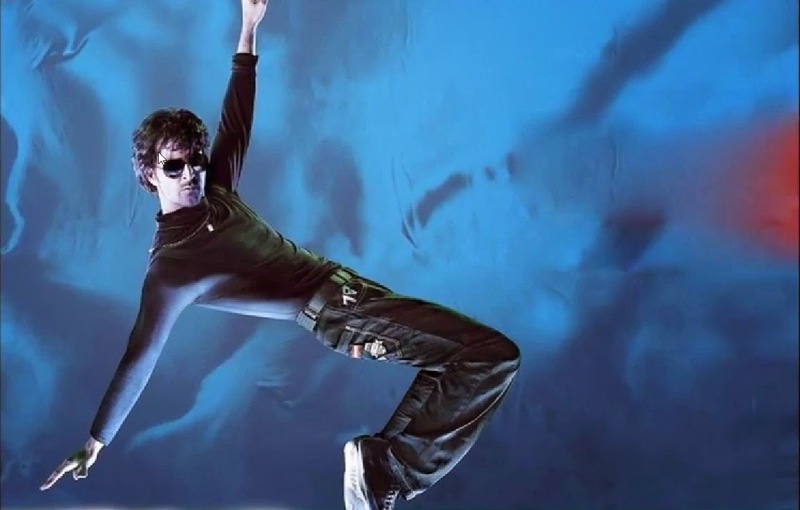 Interestingly, Jackson’s anti-gravity lean was facilitated by a specially designed pair of shoes which got locked onto the floor allowing the performer to lean forward for as much as 45° off his centre of gravity without the risk of falling on his face. Talk about science meets dance! Despite this incredible invention, this move has proven to be almost impossible as many MJ fans have sustained several degrees of injuries while attempting to perform it. Michael Jackson may be dead, however, his dance moves have been kept alive thanks to several Jackson impersonators who earn their living simply by performing some of these legendary dance steps. Usher Raymond IV, simply known by his stage name Usher, is an international music superstar. Though he is not known to have had any formal dance training, this multiple Grammy winner has distinguished himself as an entertainer to be reckoned with. At the peak of his career, Usher became known for possessing the rare ability to perfectly sing and dance without losing his breath. He combines powerful choreography with masterful showmanship which makes his stage performances memorable all the time. He is indeed one of the most famous dancers of the early 2000s.